As promised last week, we are going to give you more updates from the IRS conference that we attended last month. So here are a few more changes that may apply to you for the 2011 tax season. The rules for HSA and HRA medical plans have changed for 2011 taxes with regards to prescriptions. In the past you could include over the counter medications when using your medical savings account. The new rule will only allow drugs for which you have a prescription from a doctor. When it comes to the IRS raising taxes, we have some good news and some bad news. The good news is that the government is not raising taxes. The bad news is the IRS is increasing penalties instead. Penalties for such things as not filing on time and not paying on time are being imposed more frequently and the minimum amounts have tripled. The IRS is also going back and trying to find missed information so that they can impose even more fines. It is really important to keep on top of tax deadlines. So check with your tax professional if you are unsure. There are new rules for innocent spouse relief. If you file a joint tax return and you owe taxes because of your spouse, you can file an innocent spouse form and get your portion of the refund. The new rules allow you to go back two years and are more lenient if abuse is involved. The American Opportunity Education Credit has been changed. It will now only cover tuition and books. Lastly, if you are in the trucking business, you are familiar with the Heavy Highway Tax that is usually due the end of August. The IRS has extended the time to file and pay the tax until November 30, 2011. These are just a few of the changes. If you have any questions, please feel free to post your question! Also, check out avoidbeingaudite.com. We have tons of free information and tools to help you keep organized with your finances and taxes. We recently returned from a three day seminar sponsored by the IRS. While it wasn’t the most exciting experience we have ever had, we did learn some important, new things that we would like to pass onto you. Since there were several updates and changes made for this upcoming tax year, today we are only going to focus on changes made to the form 1099. The requirements for issuing form 1099-Misc have been very confusing the past year. The final word for the 2011 tax year is this: if your business pays an individual over $600, you must issue a 1099-Misc form for the amount you paid them. This must be submitted to the IRS and the person you paid. If you pay a corporation for services, you do not have to issue a 1099. The only exception to this is if you have an attorney. If you pay your attorney over $600 (and you usually do) then you must send him a 1099-Misc. Another 1099 issue you should be aware of is that credit card processing companies are now required to send information on every transaction to the IRS. So if you have a business that accepts credit or debit cards for payment, then each transaction will be reported to the IRS on a 1099 form. If you accurately record and report all your income from sales and services this will not be a problem for you. I knew a man many years ago that thought if he took payment with a credit card it was like getting paid cash and he didn’t have to report it. Even though that has never been true, if he did that now, the IRS would be aware of that income immediately. The last 1099 issue that has change is one that is good for everyone. Starting in 2011, when you get a 1099 for the sale of stocks and securities, what you paid for the stock and when you purchased it will be on the form. That will save people a lot of time because they won’t have to go through all their records to find out that information. We hope these updates are helpful. Next week we will be going over more changes we learned at the conference. So make sure you check back! In the tax business, we see a lot of people trying to take deductions for expenses that are not actually considered deductible by the IRS. One of the most common expenses that people struggle with is interest. People seem to have a difficult time figuring out which interest they pay is deductible and which is not. So this week we are going to take a minute and clear up what exactly is considered deductible interest on a personal return. This is actually pretty simple. There are only three ways that you can take interest on your personal taxes. First is your mortgage on your first and second home. This should be provided to you every year by the bank via a 1098 form. The second is if you purchase something on credit or with a loan as an employee business expense. For example, let’s say you purchased a laptop computer on credit because your employer requires you to have one to work from home and to take on business trips. In this case the computer purchase price and the interest is deductible on the employee business expense form, which is connected to your itemized deductions. The third way is if you are charged interest on investments or if you borrow money to invest. If that is the case, you will receive a statement from the investment company or it will be reported on your end of year statement from the brokerage company. You will then report it on your itemized deductions—Schedule A. There are some sources of interest that you might think are tax deductible on your personal return but they are not. These types of interest include car loans, personal credit cards, in store credit, TV, etc. Trying to deduct these things will create big bright red flags for the IRS to audit you. If you have any question about whether the interest on your purchase is deductible, contact us at info@soulence.com. If you own a business, you should know that interest for individuals is a lot different than for businesses. 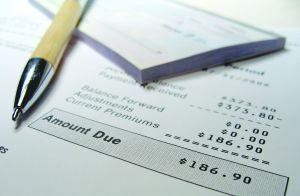 You can learn more about business interest deductions as well as personal interest deductions on our website www.avoidbeingaudited.com. As a part of this blog, we like to give you a heads-up on some of the things the IRS is focusing on in an attempt to collect taxes. Recently, the IRS has been targeting business owners through officer wages. If you own a corporation, the IRS says that each officer is to be paid a “reasonable wage” for services rendered—this is an officer wage. This wage is to be paid the same way you pay employees—with taxes withheld and a W-2 form issued at the end of the year. Department of Unemployment website. Another thing you can do is research how much you could earn if you worked doing the same thing for someone else in your area. If you could earn $20 per hour working for someone else in your city or county, you can use that figure to calculate a reasonable wage. Because this process is so subjective, here are two things we recommend you do when figuring a reasonable wage. Think about what you do for your company and then research how much you would get paid to do that same thing if you worked for someone else. How much does your company make per year. It is not reasonable to pay yourself more than your company earns. The IRS is cracking down on companies that are not paying officer wages. If you are one of those companies, we suggest you talk to your tax professional and see what would be the best way for you to get compliant. There are also a lot of other policies you need to make sure you are following correctly. We have a great CD set that can teach you how to make sure you and your business are being compliant with the IRS. Visit http://avoidbeingaudited.com/products.html to learn more! Well we have a little bit of good news for you this week. Because of the high gas prices the IRS has raised the standard mileage rate for the second half of 2011. The first half of the year, January 1 through June 30 the mileage rate is 51 cents per mile and for July 1 through December 31 it has gone up to 55.5 cents per mile. That is an increase of 4.5 cents. Also Medical mileage and mileage for moving has gone up from 19 cents per mile to 23.5 cents per mile. This has only happened once before and that was the year of the Katrina hurricane. What does this mean for you? If you have a business and are claiming mileage you will get a larger tax deduction this year. But, it also means that when you figure your information at tax time, you will need to separate the number of miles into those driven the first half of the year ( Jan. 1 through June 30) and those driven the second half (July 1 through Dec. 31). Also, if your job takes you out of town a lot, we suggest you keep all of your gas receipts to be able to prove that you drove out of town. The IRS has been asking some taxpayers to prove that they drove out of town. Gas receipts as well as oil change receipts that show how many miles you put on the car in between oil changes are a good thing to keep in your records as well even when using the standard mileage rate.